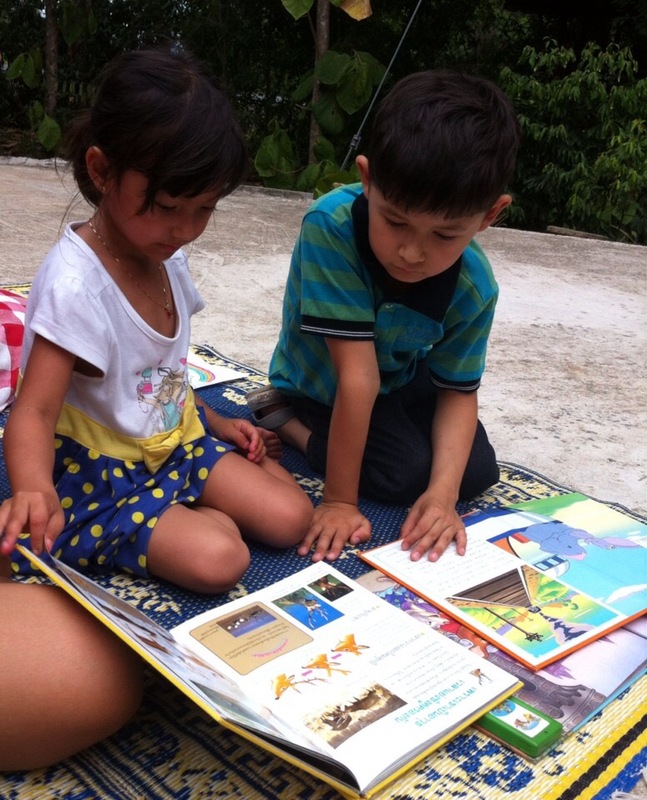 My name is Joyce, a Belgian volunteer and together with Ralph I am working on the universal book project for ARC in Phrao. 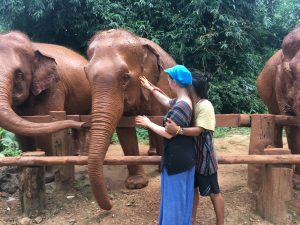 I could tell you about this heartwarming project, or the beautiful town of Prao or the amazing people I met here, but today I want to talk”about this other”amazing citizens of Thailand namely the elephants. I am in Thailand for a month and one thing I really wanted to do was touching an elephant. One month felt like so much time so we focussed mainly on the project in the beginning. Than the moment came that I only had 10 days left. Time flies here. I had to do research for wich elephant park to visit because it was very important to me that the elephants were treated well. So I ended up with elephant nature park. The problem was, also with other parks, that they pick you up with there own bus from your hotel in Chiang Mai since it is aimed at tourists. So I called the organisation to ask if we could come with our own car. THE man was very friendly and suggested the best project for us wich was ‘save Thai Elephant Park’ right next to the main elephant nature park. Along the way there had been some miscommunications but in the end we arrived on time and everything was forgiven. They were very friendly. First we got information on the elephants and then we had to wash and cut the fruits for the elephants. We were with a group of around 10 people and they had 3 lovely lady elephants for us to meet. To feed the elephant was a very special feeling, they take your whole hand in there trunk. After this we had to lead the elephants to the river. We did this by giving the elephant a banana every few steps. Every family got there own elephant for this so it was only me, Ralph and the elephant. Of course the guides were also there to help if needed. When we arrived at the river, we all got a bucket and joined the elephants to help them with washing. This was really fun as we were throwing water at the elephants and they would shoot water back at us with there trunk. After this we had lunch and we had the possibility to make our own papaya salad. Than came the most fun part for the elephants, we watched how they tooka mud bath and it was really amazing to see hoö much they were enjoying themselves. We ended the day by feeding the elephants again. Is crazy how much these beauties can eat. I couldn’t give a hug to the elephants because they were totally covert in mud so I give a hug to the guide in stead for this amazing day. I will never forget this experience. Bye bye Thailand. Kop-khun kah for everything.